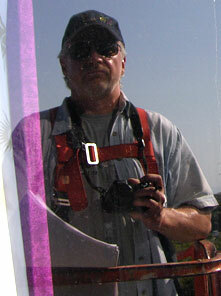 Mark Meshulam is an expert witness and consultant for leaking curtainwalls. 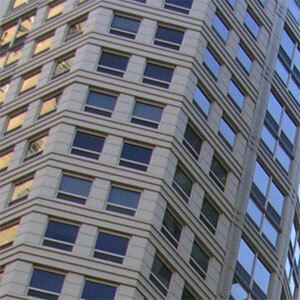 A curtainwall is the ubiquitous “wall of glass” seen on many downtown buildings. Its framing system drapes across the face of the building’s structure. In contrast, a window sits within an opening in the structure. A window-wall generally runs floor to ceiling in long runs, but is basically a window system because it sits between, and not in front of, floor slabs. Photographically documenting curtainwall leaks requires a system which will certainly differ from a system you might use to catalog window leaks. In both cases you will use sticky-notes to place locating labels within the image. The difference, however, involves the need to design an appropriate system for locating where on the curtainwall the particular picture was taken. Frequently, documentary pictures for windows will include an apartment number and room type, with less reliance on keying locations from the exterior. 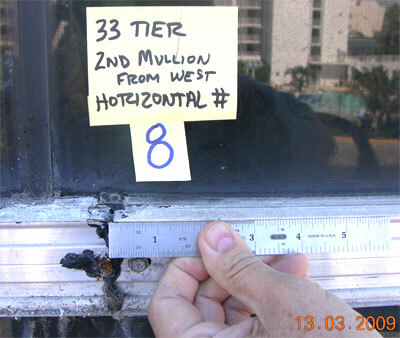 If mapping the window leaks issues on an exterior elevation is needed, this can generally be done later by using survey floor plans and photos keyed to room numbers. 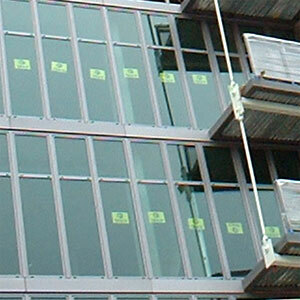 A curtainwall, however, is a big gridwork spanning large areas of the building. It can sometimes conduct water internally for long distances. It is good to devise a more global locating system which recognizes the totality of the gridwork. For instance, on a building elevation, you can label vertical mullions A, B, C, etc, and label horizontal members 1,2,3, etc. By using this system, you can locate any mullion intersection such as D2 or F7. 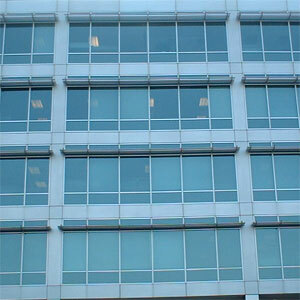 You will place sticky notes reflecting these locations right on the curtainwall before shooting the picture. For both windows and curtainwalls, there must always be an element of the survey which encompasses both the interior and exterior views of the building. Sooner or later you will find yourself on a swing stage or boom lift looking at the outside. The best systems for locating leaks in a building, therefore, would be one in which interior and exterior views are reflected. When surveying from the exterior of a curtainwall, where it is easy to get lost and forget where you are, leave the sticky notes in place as you go and use them for navigation. Remove them when you are sure they will not be needed.